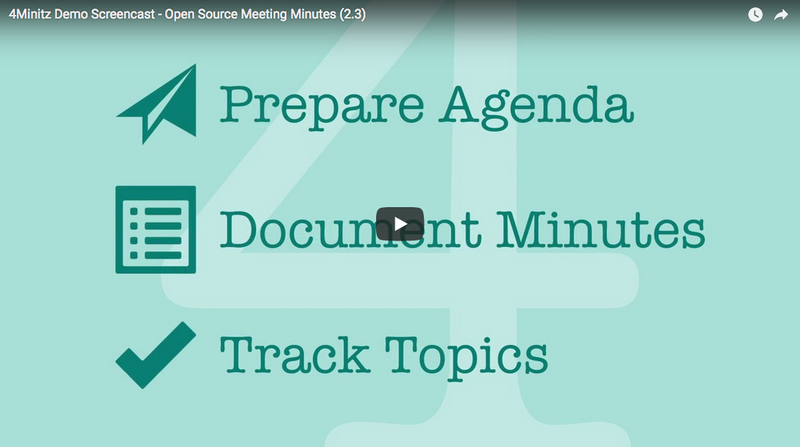 Every invited & logged in user can watch changes to the current meeting minutes in real time. 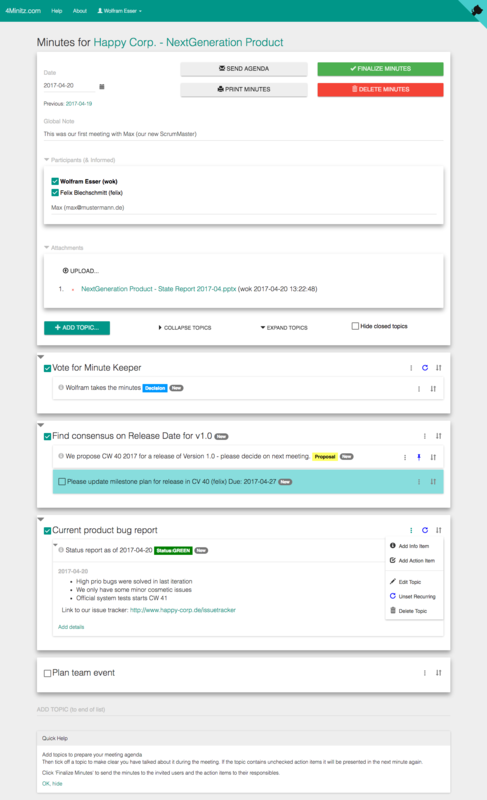 We made 4Minitz free & open-source software (MIT License), as we strongly believe that sensitive information like meeting minutes should not be hosted in the cloud. Instead you want to host it on your own infrastructure where you can define the level of security and safety you need. Free & open source software: host your own!